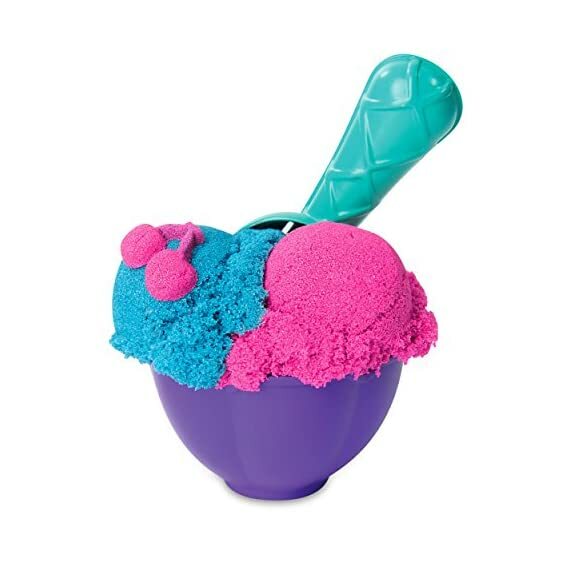 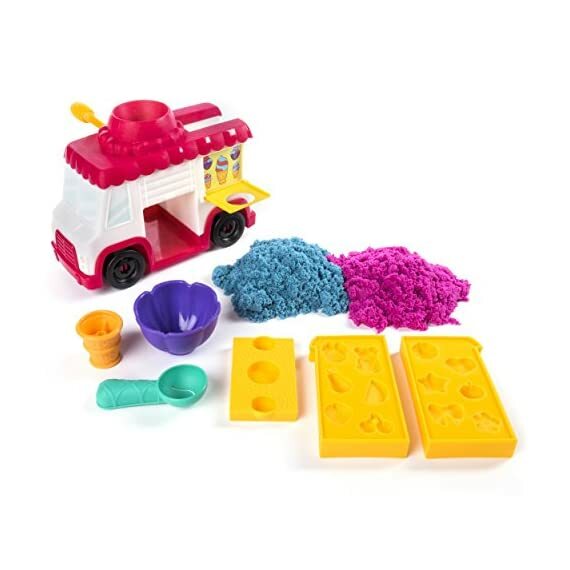 Comes with 8oz of Kinetic Sand and all the accessories and moulds you need to create and display ice cream cones and sundaes! 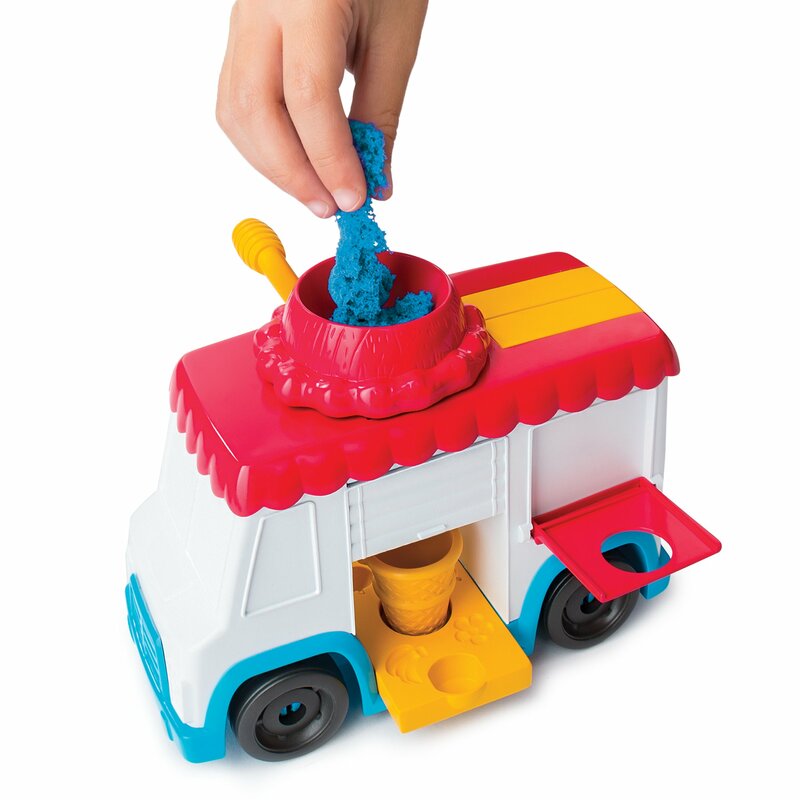 Customize with toppings and mix two colours of sand together to create a new color! 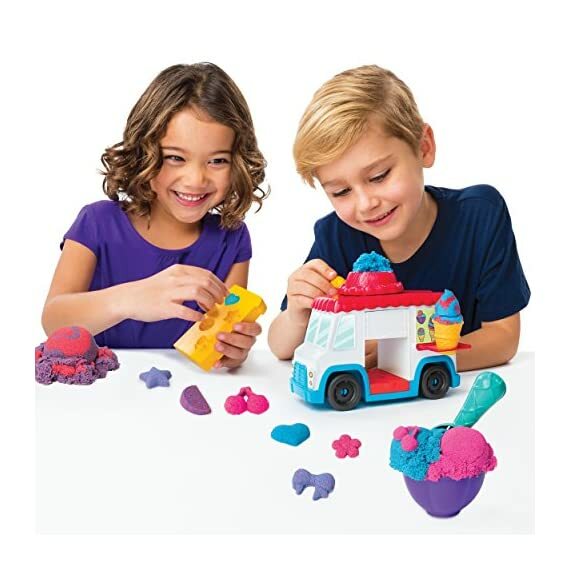 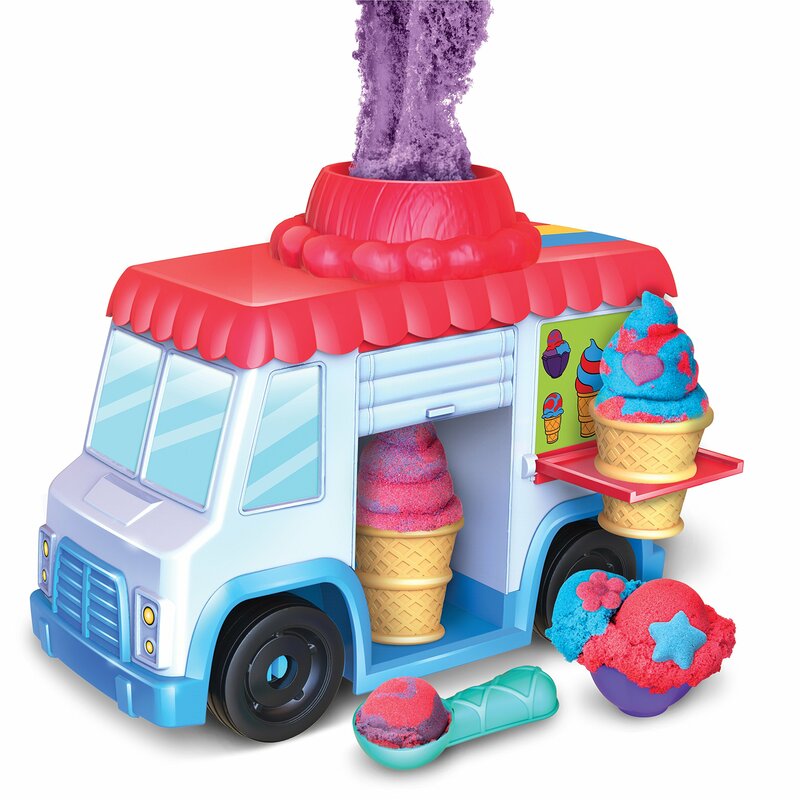 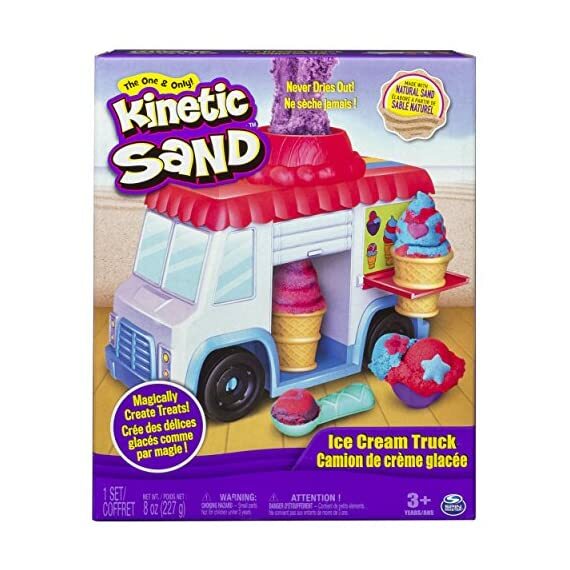 The Kinetic Sand Ice Cream Truck makes it easy to create delightful treats! 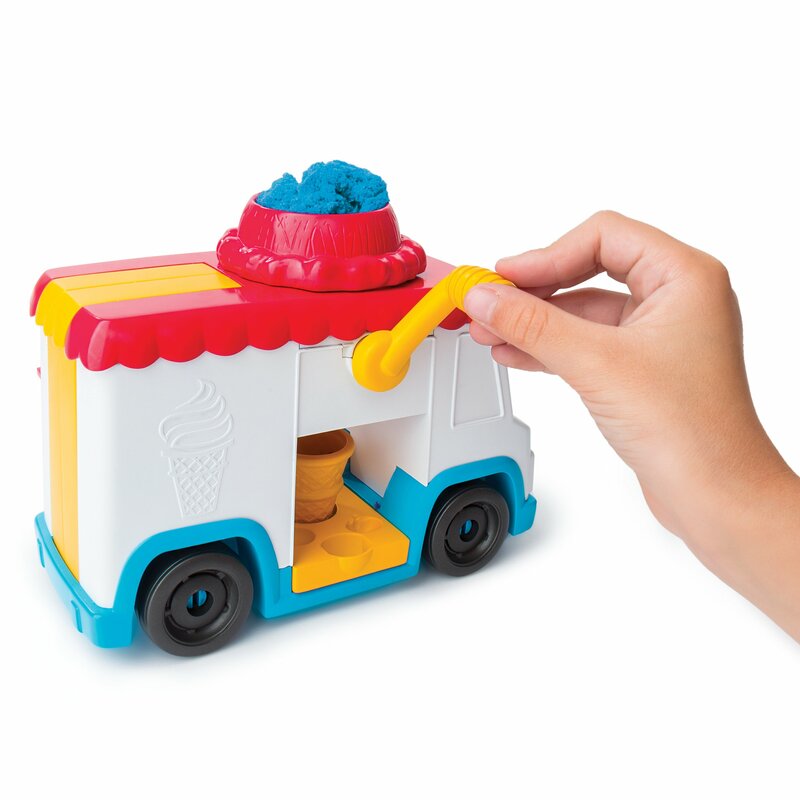 Place a cone in the truck, fill the top of the truck with sand, turn the handle and watch as ice cream magically swirls into the cone! 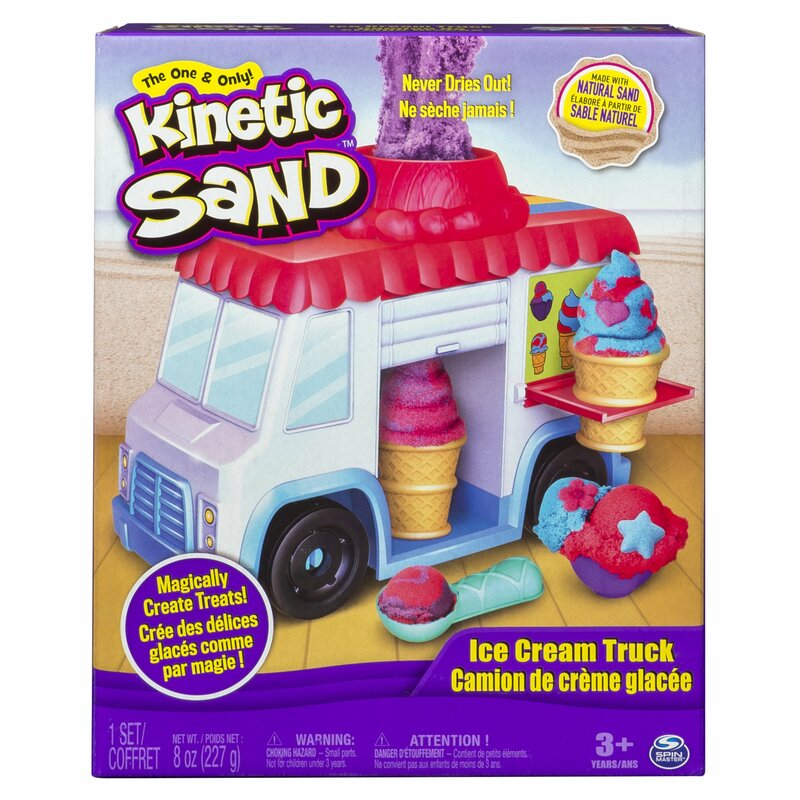 Magically mould delicious-looking ice cream treats with the Kinetic Sand ice cream truck! 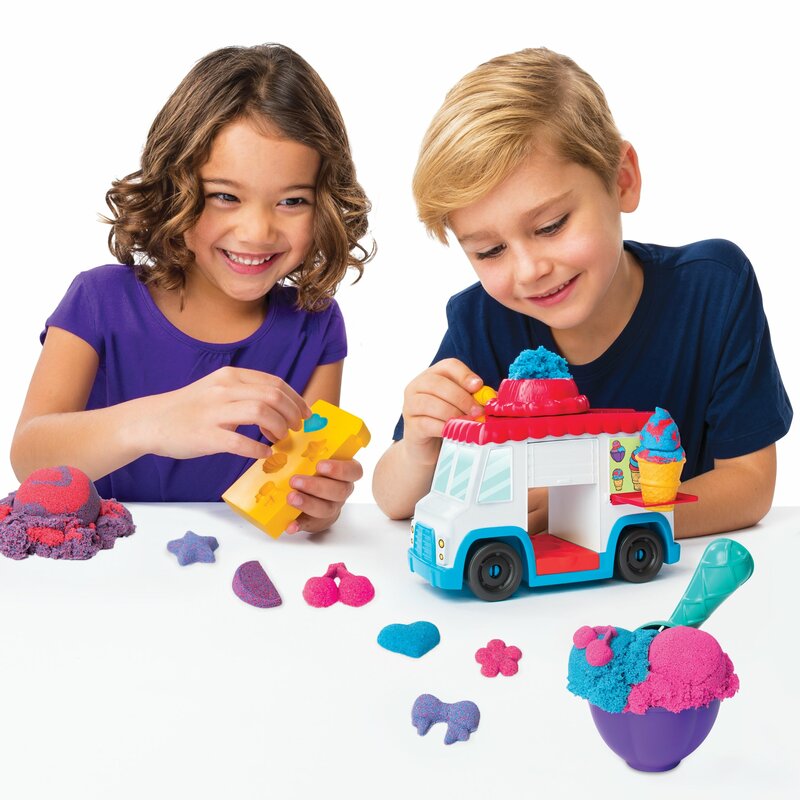 Kinetic Sand is the squeezable sand you cant put down! 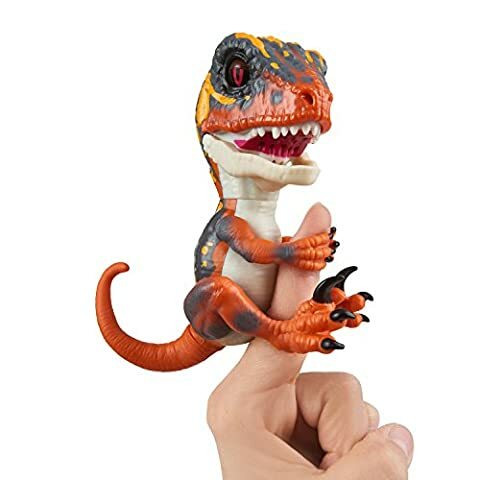 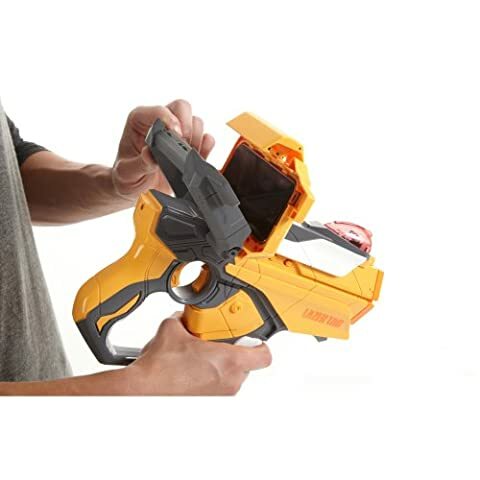 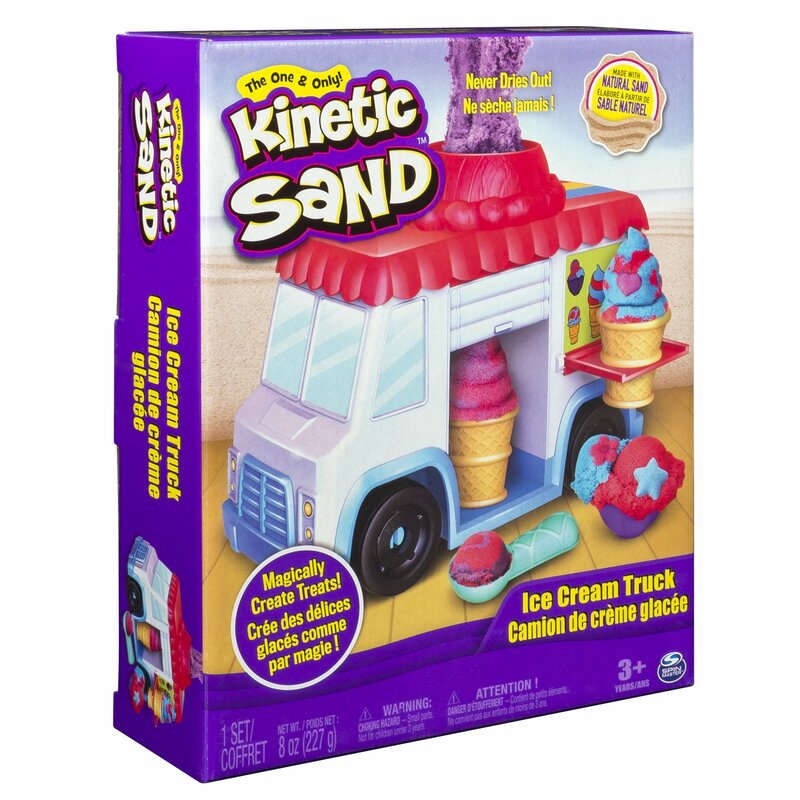 its the magical, moldable sand that flows through your fingers, leaving them completely dry. 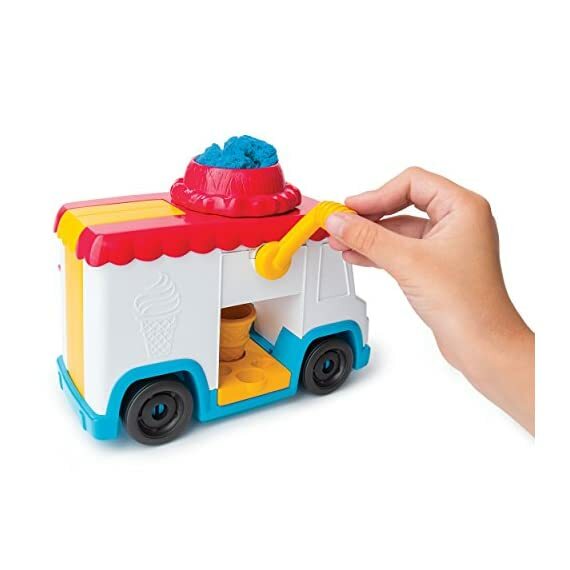 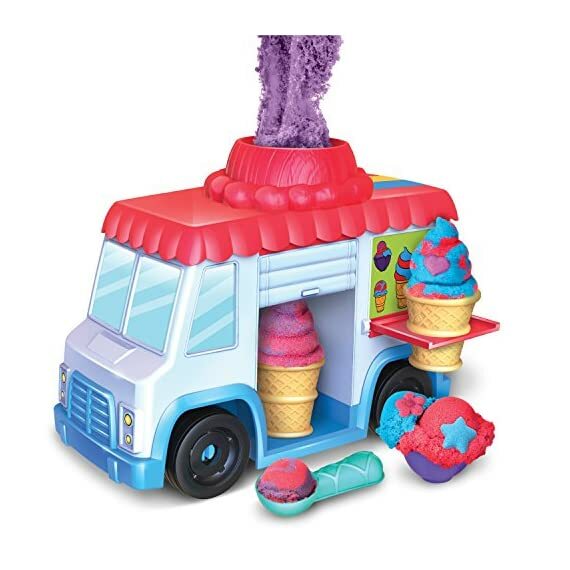 Its easy to create endless ice cream treats with this cool, moveable truck! 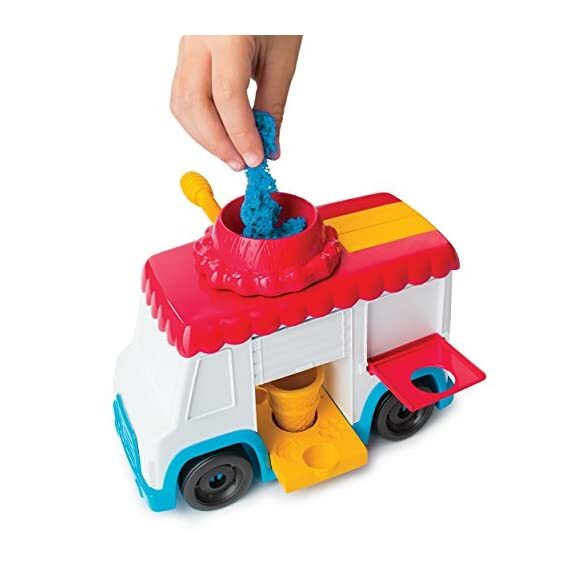 place a cone inside the truck, fill the top with Kinetic Sand, turn the handle and watch as an ice cream scoop drops into the cone! 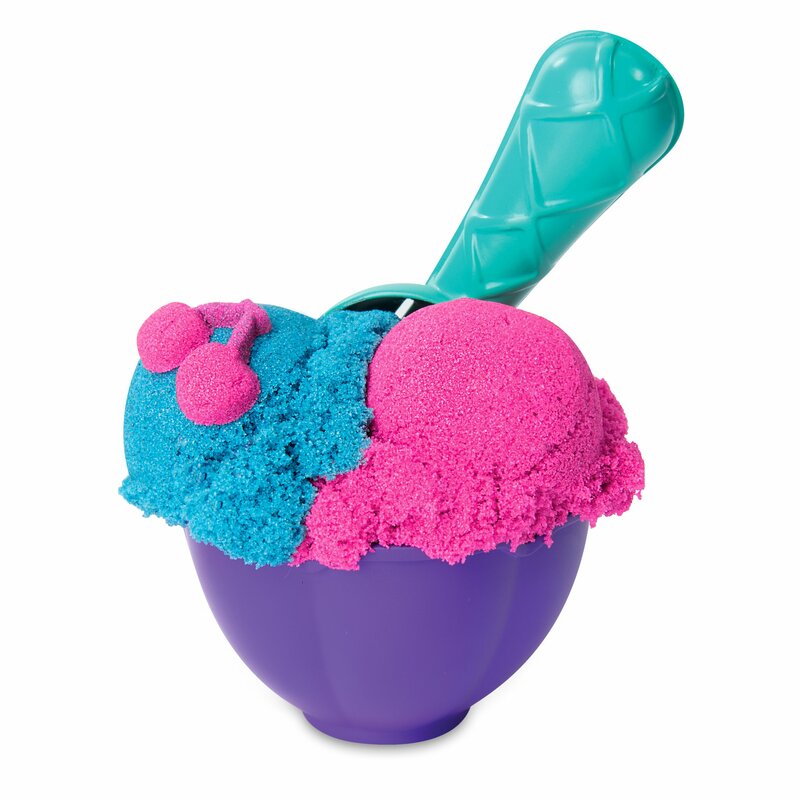 or, make your own sundaes to decorate with the 2-in-1 scoop and topping moulds! 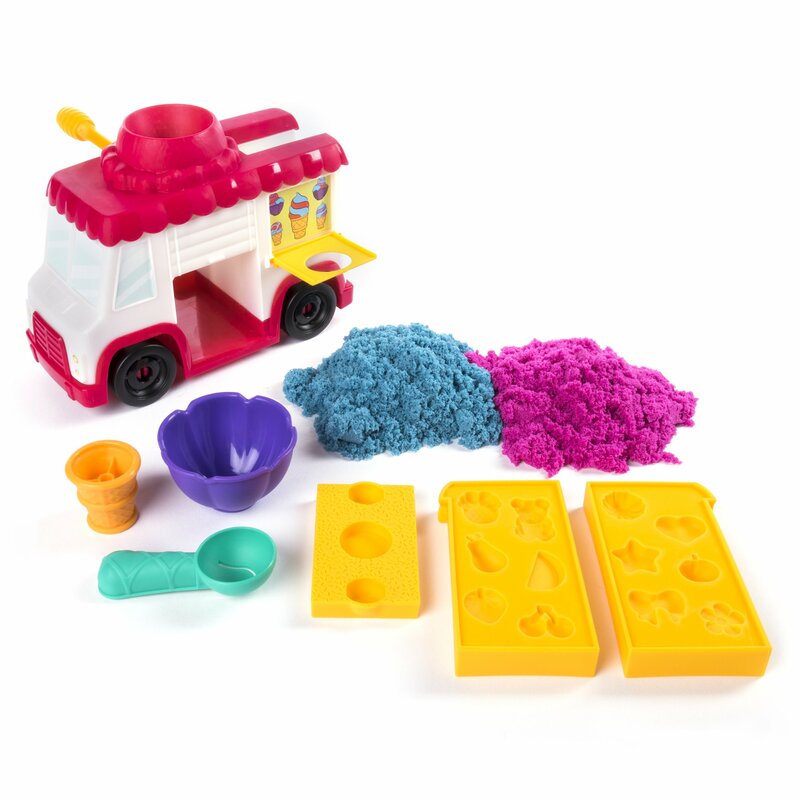 you can even mix the sand colours together to create new colours of ice cream! 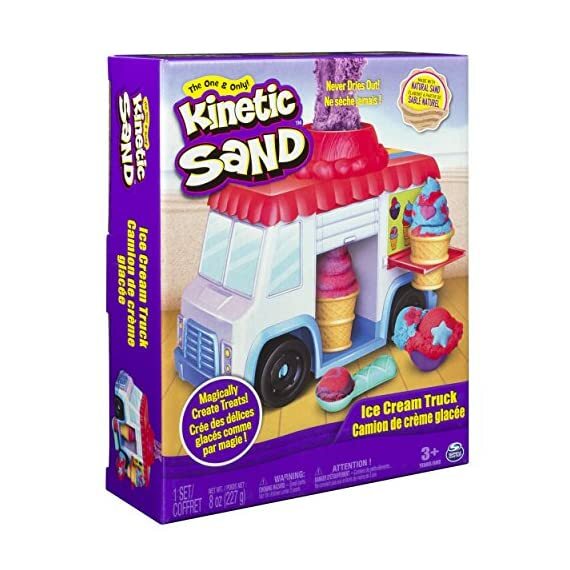 create your ice cream treats with the Kinetic Sand ice cream truck!